We’re the Central Park Model Yacht Club (CPMYC), a group whose goal from day one has been to "encourage those interested in designing, building and sailing model yachts." And day one was in 1916, making CPMYC one of the oldest model yacht clubs in the country. Our club is made up of men and women, teachers and students, workaholics and retirees, doctors and people who play them on TV, all kinds. We're open to anyone who's interested. Some of our members buy new ready-to-sail pond boats every few years. Others start out buying competitive second-hand boats. And a couple of us sail and race model yachts we’ve built ourselves. If that sounds like an approach you might want to try, check out our Builders Corner. Some of us have only been sailing for a year or two and others have been racing for decades. In fact, several of the world's top IOM sailors race in our club so those with less experience get to learn from the best. CPMYC has been written about in the New York Times, Wall Street Journal, Offshore Magazine, Model Yachting, Sports Illustrated and Popular Mechanics. We’re a non-profit organization and a member of the American Model Yachting Association (AMYA), the national governing body for 95 clubs representing approximately 2,500 members across the US. 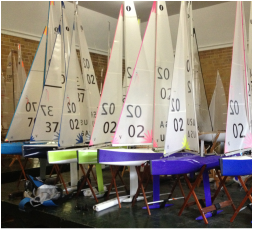 A major focus of our club is racing radio control sailboats. But we also know you have to learn to walk before you can run. So we invite novices and first-timers to call or email us and let us know you'd like to give it a try. We'll set up a time to give you instructions, tips, pointers and the controls. Or try renting a boat from Sail the Park at Kerbs Boathouse for just $11 for half an hour. If you're thinking of racing with us - or any club in your area - you should consider buying or building the class of boat that the local club races. 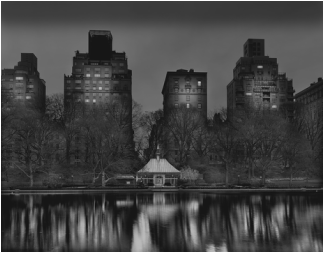 Just inside Central Park off 5th Avenue between 72nd and 76th Streets you’ll find Central Park Conservatory Water, the place where the CPMYC has been sailing since 1916. It's considered the most recognizable model sailing site in the United States. We all know of the E.B. 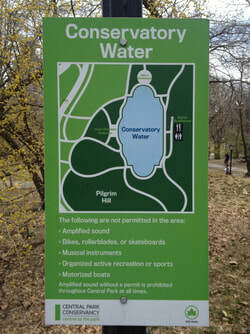 White children’s book 'Stuart Little' and the part Conservatory Water played in that famous tale. 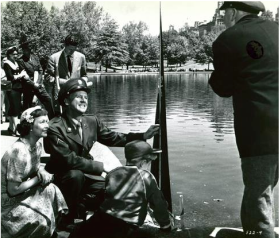 Conservatory Water and our boats have been seen in dozens of movies and TV shows including The TODAY Show, FX, Breakfast At Tiffany's, Miracle In the Rain, Three Men & A Baby, Give Me A Break, The Equalizer, Kate & Allie, and Murder in Black and White. And CPMYC has been written about in the New York Times, Wall Street Journal, Offshore Magazine, Model Yachting, Sports Illustrated and Popular Mechanics. During the sailing season we store our boats next to the pond inside Kerbs Memorial Boathouse, which was sponsored in 1954 by Jenne E. Kerbs in memory of her parents Alice H. and Edward A. Kerbs who enjoyed watching the boats from their 74th St and 5th Ave window. If you’re in the area, stick your head inside the boathouse and check out our collection of over 100 sailboats. Or stop by some Saturday morning, watch us race and introduce yourself. If you're interested in storing a model yacht at the boathouse, stop by the first floor of the Arsenal building just inside Central Park at East 64th Street. Permits become available in late February/early March. They cost $20 for the season which extends from April until November. And there are a limited number of spaces in the boathouse so apply early if you want to be assured of a spot. Out of respect for the many visitors to Conservatory Water and the local wildlife, the Central Park Conservancy has establish the set of rules in the photo below that we fully support and hope you will too. These include No Motorized Boats. Thanks for your cooperation.